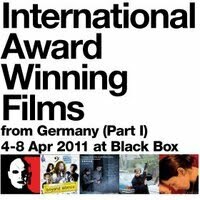 For those who love International Films or German Films watch out for this. Its gonna happen next week. Goethe Institute and MAP are proud to present the second series of film screenings curated by Dr Torsten Schaar, a German language lecturer at UiTM. The theme selected for this series is International Award Winning Films, celebrating German films that have received accolades in thecinema world as well as awards from the Academy Award, BAFTA, Cannes and Bavarian Film Festivals. The screening starts off with Mephisto, a film adaptation of Klaus Mann’s novel about an ambitious stage actor who abandons his conscience and ingratiate himself with the Nazi Party to improve his career. The film won the 1981 Academy Award for Best Foreign Language Film. Other films include Jenselt der Stille (Beyond Silence), Der Untergang (Downfall), Der Baader-Meinhoff Komplex (The Baader-Meinhoff Complex) and Die Fremde (When We Leave). fascistic beliefs of his patrons. on a novel by Klaus Mann, the son of Thomas Mann, MEPHISTO, dramatically shows the self-deceptive and ultimately evil acts of an artist making his own Faustian bargain. Acclaimed by critics and audiences everywhere, BEYOND SILENCE is the powerful story of a young woman's battle for independence and her deaf parents' struggle to understand her gift for music. Given a clarinet as a child by her free-spirited aunt, Lara becomes a passionate and talented musician, something her parents cannot begin to understand. As she acts as communicator between her parents and the world, her passion for music intensified and she becomes determined to follow her dreams. Soon her gift threatens to tear the once close family apart and they must learn to separate their differences and expectations to bring their two worlds together again. of madness on both epic and intimate scales. Germany in the 1970s: Murderous bomb attacks, the threat of terrorism and the fear of the enemy inside are rocking the very foundations of the yet fragile German democracy. The radicalised children of the Nazi generation lead by Andreas Baader, Ulrike Meinhoff and Gudrun Ensslin are fi ghting a violent war against what they perceive as the new face of fascism: American imperialism supported by the German establishment, many of whom have a Nazi past. Their aim is to create a more human society but by employing inhuman means they not only spread terror and bloodshed, they also lose their own humanity. The man who understands them is also their hunter: the head of the German police force Horst Herold. And while he succeeds in his relentless pursuit of the young terrorists, he knows he's only dealing with the tip of the iceberg. Umay (Sibel Kikelli) is a young German woman of Turkish descent, fighting for an independent and self-determined life against the resistance of her family. She sees her abusive husband and leaves Turkey to return to her family in Berlin. What ensues when she gets to Germany is a devastating journey through the darkness of a perverse patriarchal tradition. Umay struggles with questions of identity: Where does she belong? Does she have the right to live her life the way she wants to? Her struggle initiates a dynamic, which results in a life-threatening situation. This very important film raises the horrible worldwide issue of "honor killings," (5,000 each year) those that occur when male family members kill girls or women who have "dishonored" their families to win back the family's respect within the community. 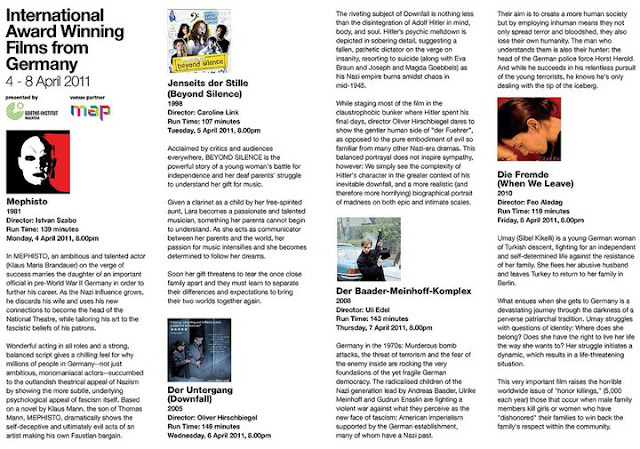 Enjoy a week of internationally acclaimed German films. 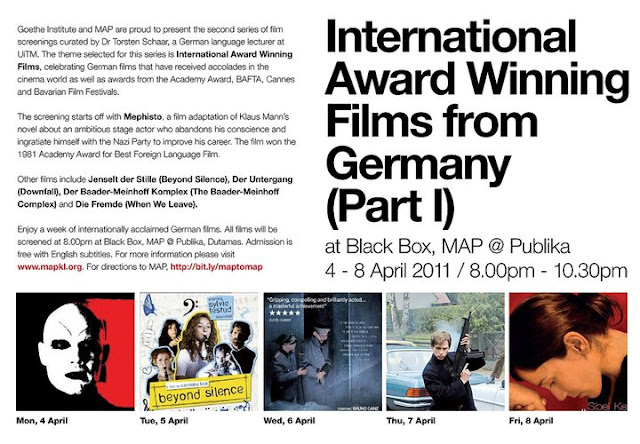 All films will be screened at 8.00pm at Black Box, MAP @ Publika, Dutamas.